I’m finally pretty much over my case of bronchitis. I’m back to my normal routine, and everything is going pretty well (asides from the fact that it’s 19 days until my LARE exam). 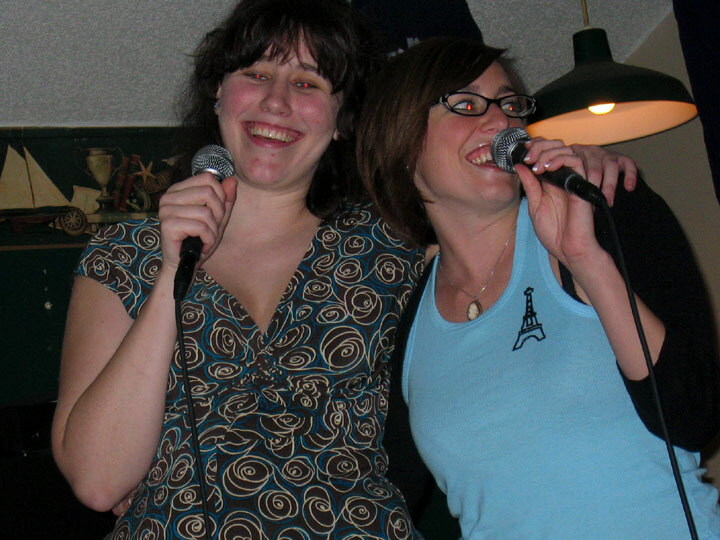 This past weekend, my sister came up for a wild night of karaoke and dinner. We cooked ourselves a tasty treat & then headed over to Callie Baker’s in Myrtle Beach. The byline on the sign says “Roadhouse & Bar,” but a more accurate description of the place would be, “Hall of Broken Rock Star Dreams.” Everyone there was a professional and sounded exactly like the star whose song they were singing. At first, it was intimidating, but Elizabeth and I managed bravery enough to voice our very, very unprofessional singing at the bar. And they loved us! We performed Hall & Oates–Maneater, Steve Miller Band–The Joker, & Janis Joplin–Me & Bobby McGee. 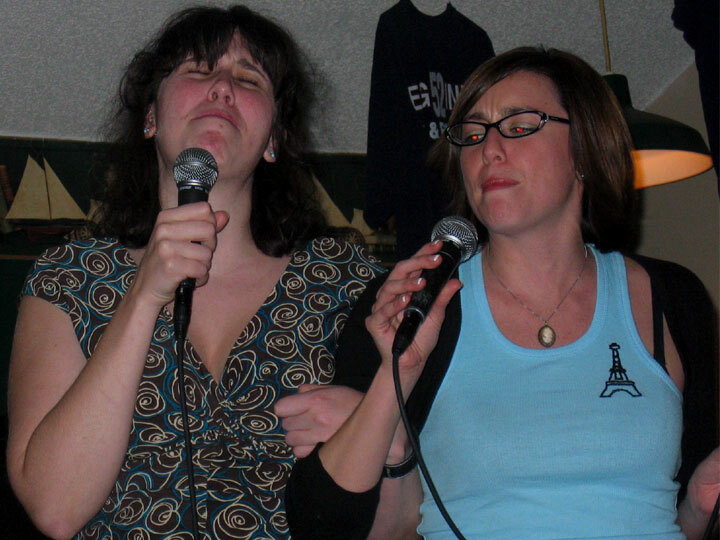 Take a look at these karaoke shots (1 happy, 1 scary); we were singing our little hearts out.